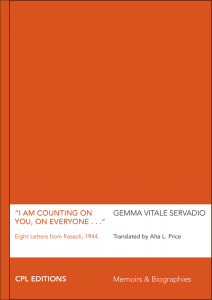 I am Counting on You, on Everyone… – Eight Letters from Fossoli, 1944. 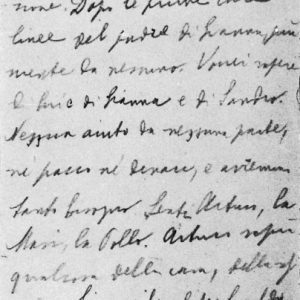 The letters Gemma Vitale Servadio wrote from Fossoli between late May and late June 1944 are not just historical documents, nor are they a mere testimony of a traumatic physical and psychological experience. Gemma’s letters are hard to compare with anything else because they’re so simple and bare, yet not at all elementary. Gemma Vitale Servadio was born in Turin in 1878 into a middle-class Jewish family. Brought up in a cultured environment, she was given the education customary for “well born young girls”: private tutors for all standard subjects, French and later English, as well as piano lessons following which she became an accomplished pianist. She used to have musical soirées where she accompanied various well-known soloists, but she never performed in public. In 1899 she married Cavour Servadio, a businessman from Ancona. After the wedding she joined her husband in Ancona, where she started a family. 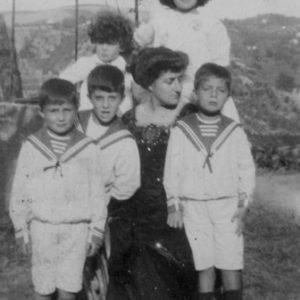 In 1900 her daughter Lucia (Mirella’s mother) was born, followed by four sons: Luciano, Lucio, Luxardo, and Luchino. She took over her role of wife, mother and head of a household, loved and esteemed by all. 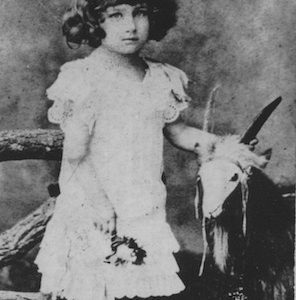 Upon her husband’s death in 1924, she moved back to Turin to be close to her parents and old friends. When the anti-Semitic laws were enforced in Italy she had the choice of moving to Brazil, where her son Luchino was living, or to Tangier, where her daughter Lucia and her family had found refuge. But her father died in 1942 and not wanting to leave her 87-year old mother, Nina, alone, she stayed and moved in with her. 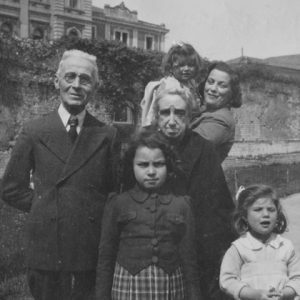 In 1943 Gemma and her mother hid in a small village in the Piedmont countryside, but Nina wasn’t happy and insisted going back to their home in Turin. It is there that they were both arrested in May 1944, sent to the internment camp of Fossoli and from there, shipped in cattle cars to Auschwitz, where they were both gassed upon arrival on June 30, 1944. Mirella Bedarida Shapiro, Gemma’s granddaughter, was born in Turin, Italy, in 1927, into a well-off middle-class family. Both her parents were physicians. Her life was brutally disrupted in 1938 by the promulgation of the racial laws, when, as a consequence, her family had to emigrate to Tangier, Morocco. At the end of the war Mirella emigrated with her older sister to New York. 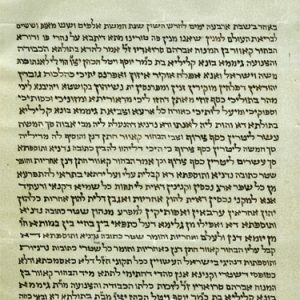 She married Nat Shapiro, a New York artist. In 1961, the Shapiros moved to Paris where they had originally planned to spend a couple of years, but ended up remaining for 24 years. In 1985 Nat and Mirella returned to the United States, while their children, having made their life in France, continued living there. Mirella was employed in administrative capacities in the private sector, universities and foundations in France, Italy and the US. She retired in 2013. Now a widow, she lives in Yonkers, NY. Marco Coslovich is a teacher, scholar and researcher of twentieth century history. He has published extensively on the role of memory in the context of history, on Nazi concentration camps, on Fascist anti-Jewish persecution and on the violence of totalitarian states. He is the Founder of Prospettive storiche, which together with the National Association of Former Deportees has created a video archive —L’ultimo appello— of interviews with men and women who survived deportation by the Fascist, Nazi and Communist regimes. In 2011 he entrusted what amounts to one of the largest oral history archives to the Museum of Dachau, in Germany. The archive was named after Marco Coslovich’s grandfather and namesake, who was deported and murdered at Dachau. But in truth, deep down, Gemma knew that by then her requests were absolutely useless, unnecessary, super uous. She knew, or rather intuited, that she and her mother were bodies — with their clothes and their feelings for one another — and nothing more. And yet she writes and sends such detailed requests.